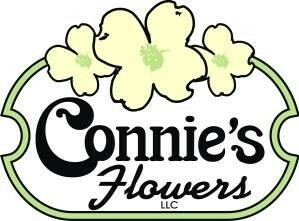 At CONNIE'S FLOWERS, We Customize Designs with You in Mind! 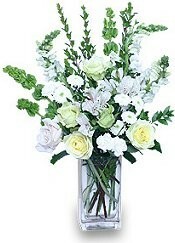 We're a local Cleveland, Georgia florist delivering courteous, professional service and the highest quality floral and gift items around for over 40 years. Our talented and experienced designers can create floral arrangements that will complement any occasion and meet your budget and style expectations as well. We also offer daily floral delivery service to all local funeral homes and hospitals, as well as daily deliveries to White County, Hall County, Lumpkin County, and Habersham County. Connie's Flowers is conveniently located on Main Street in the Village Plaza Shopping Center and is open to serve all your floral and gift-giving needs. Our beautiful selection of high-quality flowers and eye-catching design styles are sure to bring rave reviews on your wedding day or at any festive occasion. Call our shop in advance at 706-865-3794 or 1-800-895-3794 to schedule your consultation. Call or stop by our shop in Cleveland. 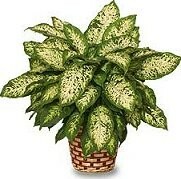 Choose from our nice selection of Green Plants, Blooming Plants, Dish Gardens, Fruit & Gourmet Baskets, Gift Baskets, Baby Gifts, Candy, Greeting Cards, Home Decor, Corporate Gifts, Personal Gifts, American made Beanpod Candles, Silk Flower Arrangements, Plush Stuffed Animals and more! Call or visit us today… we look forward to meeting you! Thank you for visiting our website for flowers delivered fresh from a local Cleveland, GA florist and easy online ordering available 24 hours a day.